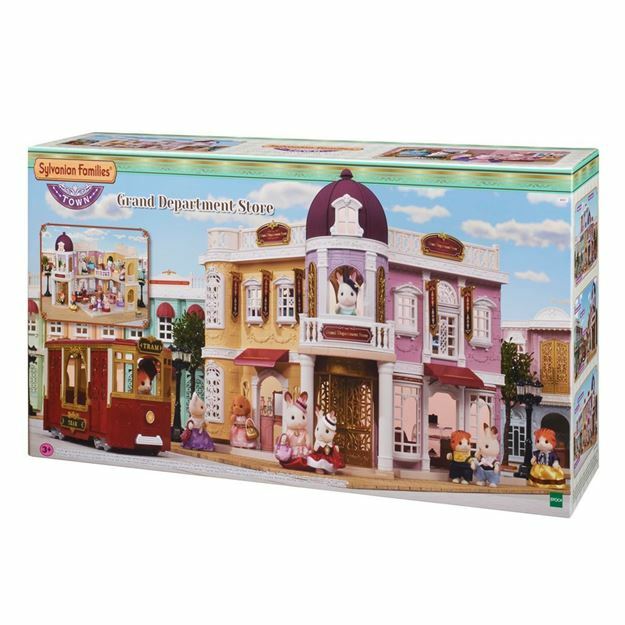 Portraying sophistication and style, the Sylvanian Families Grand Department Store is the place to go for fashion and beauty. The real working lift, revolving door and fancy engravings provide visitors with a sense of sophistication and elegance. Customise your store by utilising the multiple layout options and interchanging the buildings fixtures (windows, fencing and awnings). Create you own townscape by incorporating other buildings from the Town Series, such as the Creamy Gelato Shop, Delicious Restaurant and Designer Studio (each sold separately). Furniture and figures not included. Part of the Sylvanian Families Town Collection. Age 3+ years. Distributed in New Zealand by Holdson.